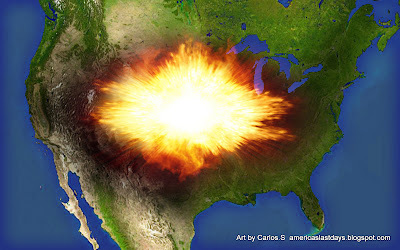 In Jun 1933 William Branham experienced a series of 7 prophetic visions of the events leading to the total destruction of America in the end times. In the first vision, William Branham witnessed Benito Mussolini brutally invading Ethiopia and then himself coming to a shameful demise. 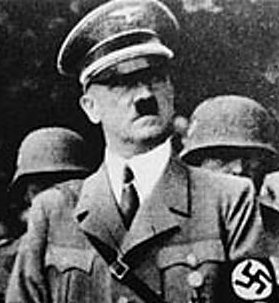 In the second vision, William Branham witnessed Adolf Hitler bringing the world into a second world war, pounding the Americans at the Siegfried Line, and coming to a mysterious end. 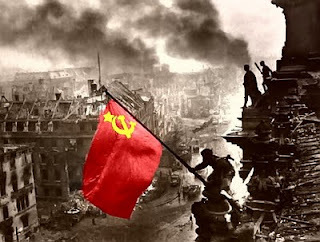 In the third vision, Fascism and Nazism were swallowed up into Communism. 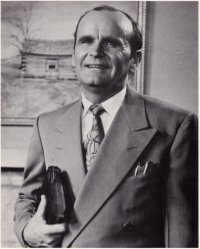 A voice in the vision instructed William Branham to "watch Russia" (rather than "watch the U.S.S.R.") indicating the eventual fall of the Soviet Union and the formation of Russia into a distinct State. In the fourth vision, scientific acheivement produced a driverless vehicle, while cars continued to be shaped more and more like an egg. The fifth vision dealt with the morality of America, and the World. Just as scientific advancement was represented by a car in the fourth vision, the decline of morality was represented by women in the fifth vision. William Branham saw women cutting their hair, acting and dressing like men, and finally almost completely abandoning their garments. 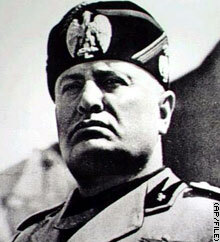 religious power such as the Catholic Church. This may be another woman maby. Update august 2012 The woman is found. This woman represents the rise of new york city to power over the world. New york city is the harlot in revelations chapter 17 and 18 that sits on the scarlet color beast the great city that rules over the nations of the earth by the united nations. There is a hidden communist take over of the united states through the financial institutions located in new york city and they are using the finances of america to create a global financial crisis to gather the world to create a new world order. The rise of new york city and the financial powers is the rise of the woman. As soon as the woman is risen new york city and the rest of america will be destroyed by a Russian invasion of america in the tribulation. In the seventh and final vision there was an explosion, and the nation of America was turned into ashes from coast to coast. Soon after, on September 12, 1933, Leó Szilárd conceived of the idea of the nuclear chain reaction while waiting for a red light in Bloomsbury, England.